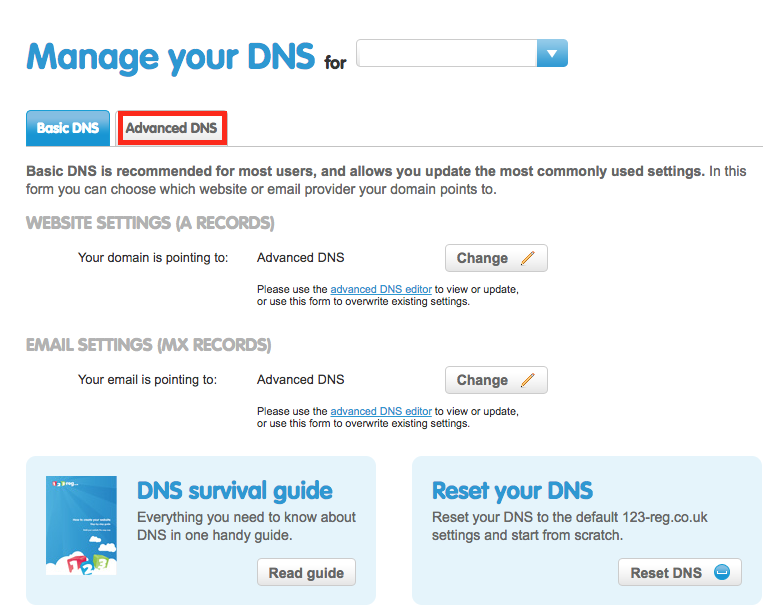 To allow SalesSeek to send emails from your domain, some setup is required in the DNS settings for your domain name. 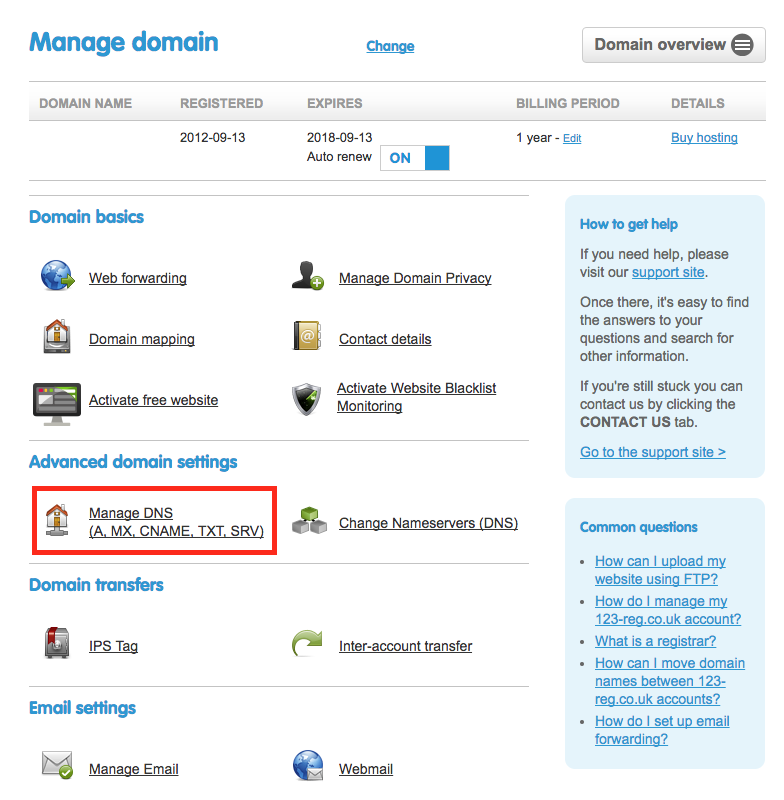 This needs to be completed by yourself in the settings provided by your domain registrar. Once this record has been added to your DNS settings, SalesSeek will be authorised to send emails from your domain, reducing the likelihood of your emails going into spam folders. Please chat to SalesSeek Support to get the unique settings for your domain name. These settings will be valid for 14 days. If you do not complete the setting within this time period please request new settings from SalesSeek Support. 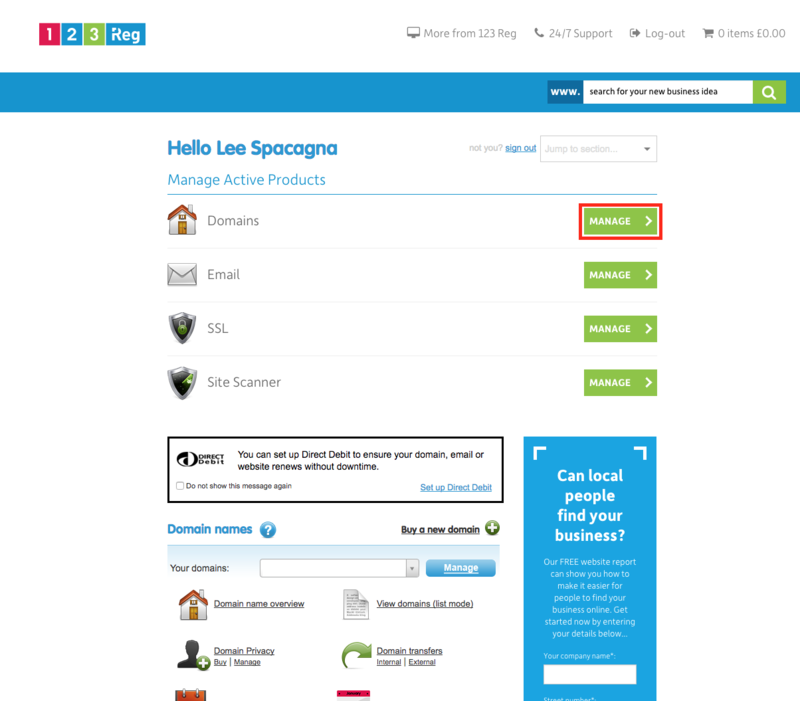 Login to your 123-Reg dashboard, click Manage next to Domains. 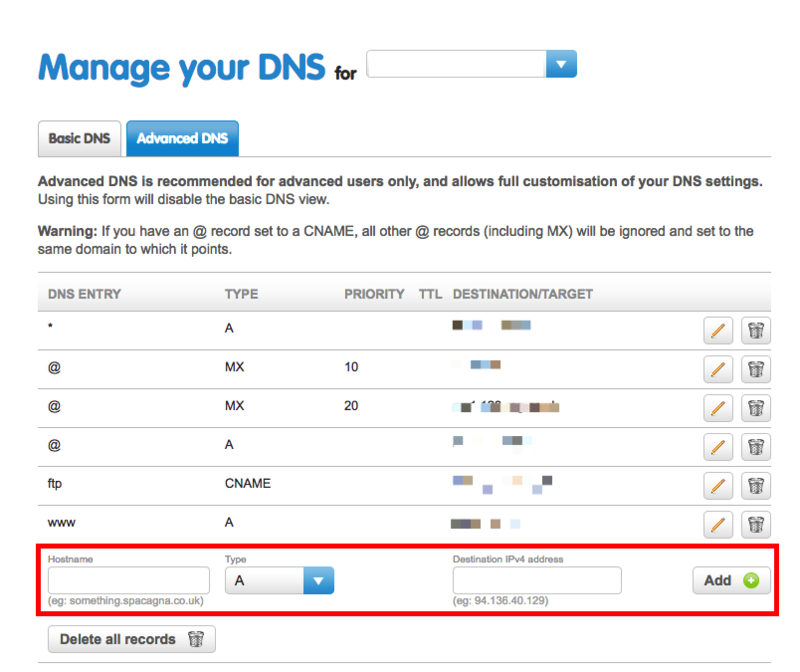 Now click Manage DNS (A, MX, CNAME, TXT, SRV). You are now viewing all your DNS records for your domain. We need to add a record to this list. Warning: Do not edit or remove any existing records as this may prevent your website or emails working correctly. You will then see your record added. Once you have added this record, please contact SalesSeek support. Once we can verify that this setting has been added correctly the campaigns feature on your account will be unlocked.